Amazon has announced the device in the US and it comes with Alexa integration. It can turn on the television with a voice command and can also stream media from apps that come with Alexa integration like Netflix, Hulu and others. After teasing the launch of a new Fire TV device for some time, Amazon has finally announced the Fire TV Cube, which comes integrated with Alexa, the company’s smart virtual assistant. It is completely different from the previous generation Fire TV Sticks that we have come to know. 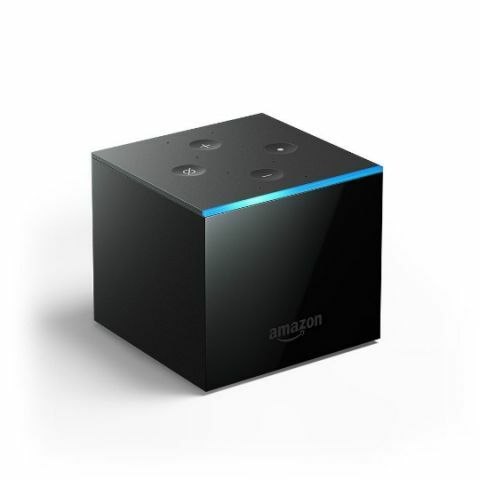 The Fire TV Cube can only be controlled via voice commands. This is akin to the company’s Echo range of devices which are also completely voice controlled, but the feature to control televisions is certainly fresh. The Fire TV Cube, like Echo devices, comes with eight far-field microphones to pick up the user’s voice command from across the room and of course, over the sound of the television. The device is currently compatible with Comcast, DISH and DIRECTV in the US and it features IR blasters on all sides to control any IR enabled devices in the room. The Amazon Fire TV Cube is available for pre-orders in the US for $119.99 (Rs 13,500 approx) and ships with an IR extender cable and Ethernet adapter beginning June 21. There are a bunch of launch offers for those who purchase the device but they are applicable only for US residents. The launch date and price of the device in India is yet to be known. In terms of features, the Fire TV Cube supports 4K Ultra UHD streaming and is said to make use of multi-directional infrared technology, cloud-based protocols and HDMI CEC. Amazon says that using the aforementioned technologies with Alexa will enable users to control their compatible TVs, sound bars, A/V receivers, and cable or satellite boxes. “Power your TV on and off, change the volume, switch to different inputs, and change the cable channel—all with just your voice. Even with the TV off, simply say “Alexa, play Billions on SHOWTIME” and Fire TV Cube powers on your TV and starts playback right where you left off. Plus, because the Alexa service is always getting smarter, Fire TV Cube is going to get even better over time.” reads the Cube’s description on Amazon’s website.